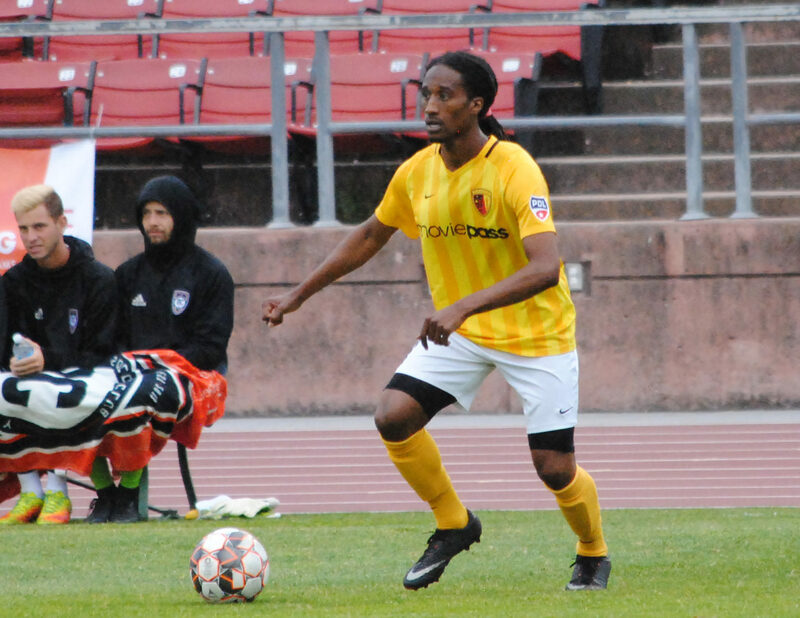 Since we are more of a photo site and don’t have a podcast site as of now, we like to pass along anything that is of interest in regards to Bay Area footy. 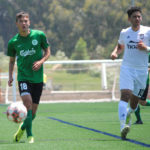 Path 2 Pro Soccer and Tommy Hodul have an interview with Nick Lima, who just signed a contract extension with the Quakes. 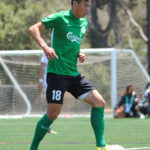 One of the success stories from the Quakes Academy, he gives his thoughts in the link below. Note that it is Episode 2. 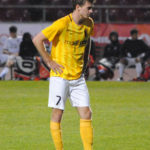 We will be back covering the PDL beat this weekend. Some soccer news to get caught up. 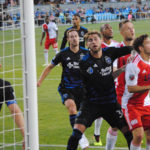 We were covering the Quakes/Galaxy Clasico from Stanford followed by the PDL tilt between City and the Santa Cruz Breakers. 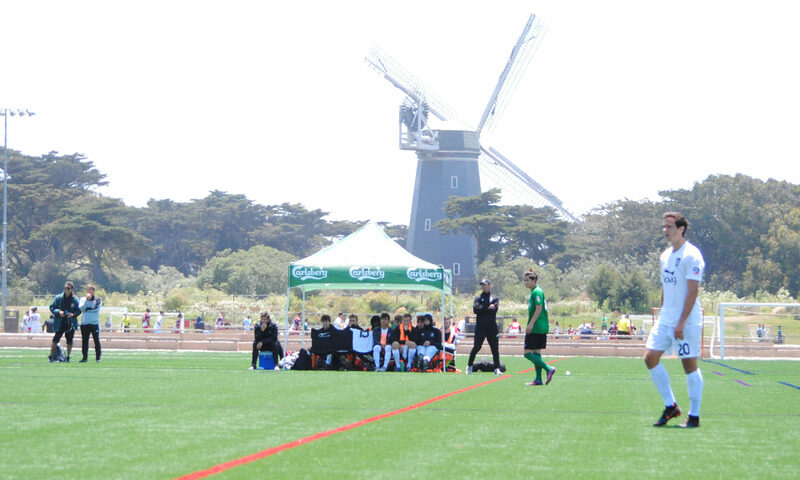 Glens and Golden State Force play to a scoreless draw. Sacramento Gold season ends up on a low note. 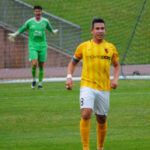 CD Aguiluchos is once again heading to the playoffs. 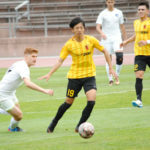 In what was an otherwise scoreless game for about 70 minutes, SF City broke through with a goal from Jesse Stafford-Lacey, followed by two more from Armand Bagramyan, with the assist by Edu Caho Salinas, and then the insurance goal by Kei Komozawa to give SF City a 3-0 victory over the PDL debutants Santa Cruz Breakers. 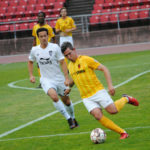 Next up for City will be the remaining home games–first up against the Southern California Seahorses on Sunday July 8 at 1pm followed by a Thursday night SF derby hosting the Glens on Thursday July 11 at 7pm. 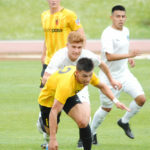 Santa Cruz will head down the road and play Ventura County Fusion on Saturday July 7 at 7pm. Update 7/4: game time corrected. Kick-off is at 1pm. 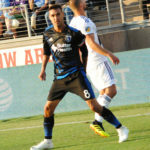 Chris Wondowlowski added to his legend with a brace thanks to an early first half goal and a second half penalty kick. 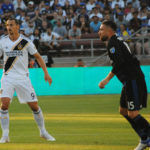 However, Zlatan Ibrahimovic added two goals to his own tally while Romain Alessandrini rounded up the Galaxy scoring, all in the first half. 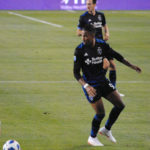 Vako contributed to the Quakes scoring with his tally in the 39th minute. 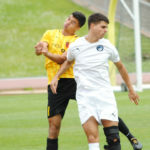 The eighth game at Stanford Stadium (and seventh overall between the two teams) ended up being a 3-3 draw. 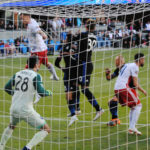 Wondolowski’s two goals moved him closer to the all-time MLS record with 140 career goals. He needs only 5 more to tie Landon Donovan for first place with 145. 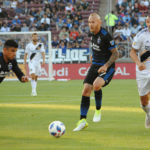 The critique of Saturday’s 3-3 draw thank you Quakes Fans​. Also one article here from QuakesTalk – which is another outside take on the team. 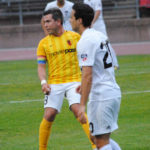 Chris Wondolowski and David Bingham seemed to have a grudge against each other–just me being a fan on this one. 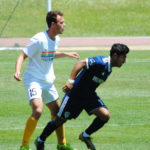 Next up for San Jose is a road trip against the Portland Timbers on July 7 at 8pm. Next up for the Galaxy is a home game on the 4th of July against DC United, followed by another game on July 7 hosting Columbus. 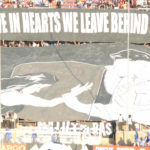 Updates 7/2: Facebook photo album (notebook) and article from Quakes Talk added. 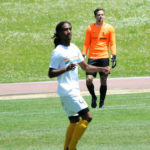 We were at Kezar Stadium covering SF City vs Fresno. Here’s some stuff we missed. A few of the articles are a bit dated, but since the World Cup is just getting started here’s a pair of articles from Charles Wollin (who calls the games for SF City) on where to watch the games–from a few days ago, plus a profile from March on Danny Coyles on Haight Street. Where are YOU Watching the World Cup? And a few items that we missed, to be updated here. 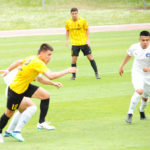 We couldn’t make it to a pair of NPSL games in San Francisco and Hayward this weekend but we were able to cover the Quakes and two PDL games, plus we stopped by for a short spell to catch a SFSFL match. Keep checking 3pointsport.com plus on the various social networks for more. Update 6/19: Thomas Hodul was at the Stompers game at Hayward last weekend. We couldn’t make it one final time this season but it has been a pleasure covering the team for the times we were available to be there–no other games on the docket or other assignments. We will be back again soon or the next season. 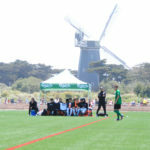 In a match that was moved from Boxer Stadium to the Beach Chalet at the west end of Golden Gate Park, the San Francisco Glens hosted the Orange County SC U23s. 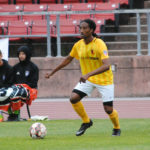 Ranier Plantinos opened up the scoring with his goal in the 17th minute. 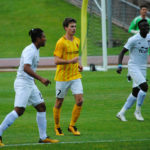 However, the lead was short lived as Conor Gordon responded with a brace with goals in the 23rd minute to equalize and in the 36th minute that gave the visitors a 2-1 lead and eventually the victory. 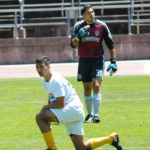 Their wins Friday at Kezar Stadium vs SF City and Sunday against the SF Glens gave them the sweep on their road trip. 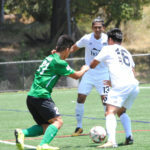 The Glens now head on a two game road trip to play the Southern California Seahorses on Thursday June 21 and at the Ventura County Fusion Saturday June 23 before returning home to Boxer Stadium July 1 hosting FC Golden State Force at 1pm. 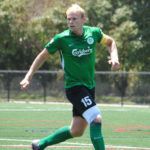 Orange County 2 continues their road trip playing against the Seahorses on Saturday June 23 at 7pm. 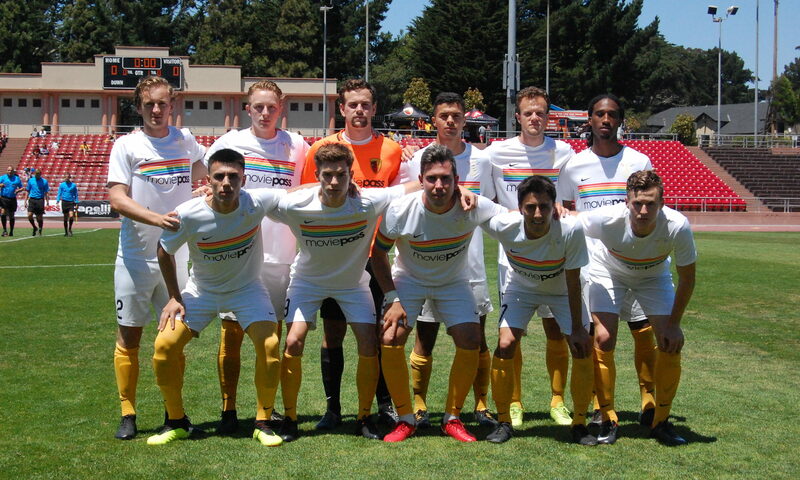 Conor Gordon and Preston Judd scored a goal for Orange County SC U23s as they defeated SF City 2-0 in a Friday night match at Kezar Stadium. The game snapped City’s 2 game winning streak. 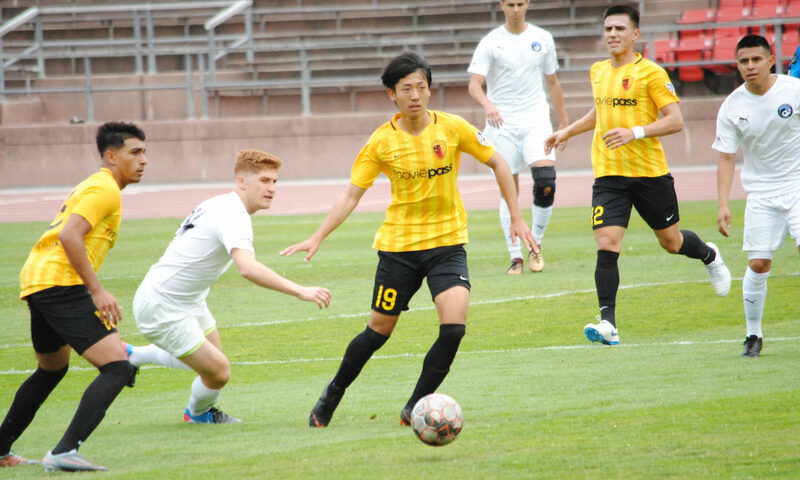 SF City resumes play June 24 at home hosting Fresno FC U23s at Kezar Stadium at 2pm. 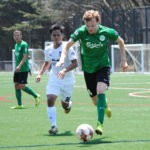 Orange County continue their road trip with a match against the SF Glens, this time at the Beach Chalet soccer fields at the west end of Golden Gate Park Sunday June 17 at 1pm. Admission and parking are free for this match. 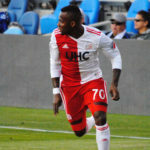 Danny Hoesen notched a brace thanks to scoring first in the 17th minute and tying the game at the 51st while Diego Fagundez scored for the Revs off a free kick in the 31st minute and Cristian Penilla in the 43rd minute with an assist from Fagundez, giving New England a brief lead into the half. 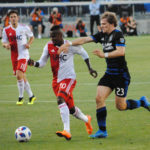 The Quakes were able to salvage a 2-2 draw against the Revolution. 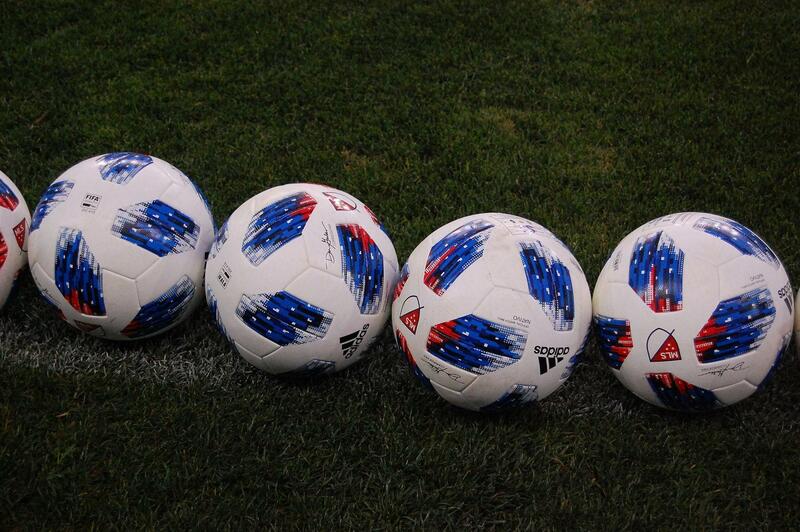 The Quakes are on the World Cup international break and resume play June 23 at Real Salt Lake. 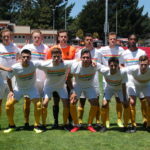 Their next “home” match is the traditional Stanford holiday match at Stanford Stadium on June 30. 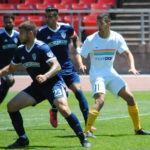 Their next game at Avaya is another midweek game against Seattle on July 25 but not before a friendly up the road at Levi’s Stadium hosting venerable Manchester United on July 22. 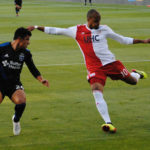 The Revs are also on the World Cup break and resume play on June 30 hosting DC United. Update 6/14: Quakesfan link added.